Preconstruction homes gives you an opportunity to buy magnificent, energy efficient homes at a lower-than-market price! Through "getting in early", you can often purchase at a 10-15% discount compared to buying a completed inventory home after 6 months. Many of our recommended new homes are within convenient distance from Tampa downtown and the McDill Air Force Base. Here you and your family can enjoy a beautiful homes with innovative features with no worries about repairs or breakdowns. Most new homes come with a 10 year structural warranty, 2 year mechanical, and 1 year overall warranty. This gives a worry-free ownership experience, where you and your family can just live and enjoy the house! All construction, appliances and fixtures will be brand new, which make things simple for you, the new homeowner. New homes are built to the latest building codes, and you often qualify for lower insurance rates compared to older homes. Many new homes are built with energy saving features that saves electricity and water consumption through better insulation and more efficient heating and AC units. You usually save 25% or more in utility costs. Bahia International Realty can negotiate terms directly with the developer and save you thousands of dollars in mortgage payments. Take advantage of the closing costs paid by the Builder (Up to $12.000) to reduce the cost of ownership even more. 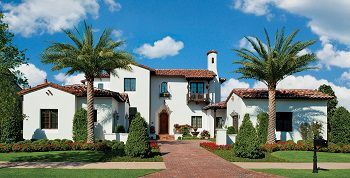 Own beautiful homes in Tampa at a discount.. To find out more about this incredible opportunity, please call us at 813-402-1324.